Tots of Trinidad Halloween Parade!!! All children, pets and adults are encouraged to be in costume and participate. Decorate your bike, scooter or wagon too! LIVE MUSIC WILL BE PROVIDED BY LOCAL MUSICIANS! The Union Market Drive-in Movies are back and this Friday’s movie is Monster’s University, a popular Pixar animated movie that is fun for all ages. Gates open at 6:00pm and the films start at 8:30pm. Union Market’s vendors will be open inside the Market and the DC Roller Girls will be delivering burgers, drinks, and more car-side if you wish to grab a bite before the show. And next Friday they’ll be showing Rushmore, so please join us then too. 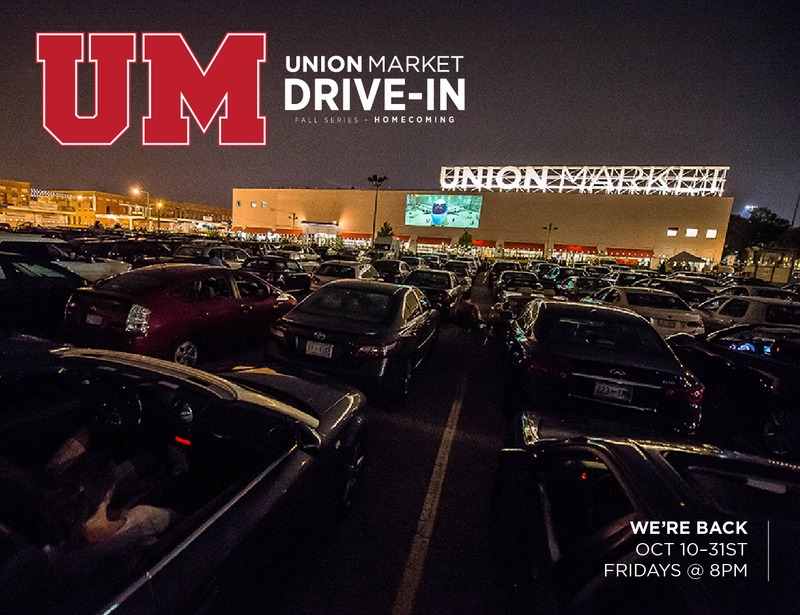 Enjoy Homecoming themed movies with a retro vibe at Union Market’s Drive-In Summer Series! This Friday, October 10, the drive-in will feature Monster’s University at 8:30 PM as the first movie of the series. Movies are free to attend, and parking is $10. Purchase a parking pass online, and be sure to get to the parking lot early to claim a good spot.